Scania offers 13L and 16L engines ranging from 400 to 1150 horsepower providing high performance, maximum dependability, and great fuel economy. These engines have been designed for heavy and demanding duties. 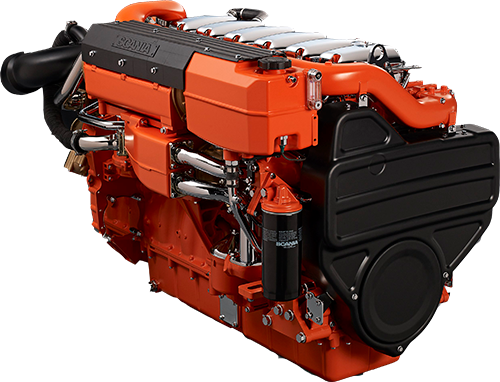 Scania’s marine engines are an ideal solution for a variety of applications including ferries, pilot/patrol boats, rescue boats, tugs, fishing vessels, passenger vessels, and military vessels.